If you’re in Los Angeles during Spring Break, it’s time to experience the great outdoors! Surf, swim, chill on the beach, people watch on the pier & more! This is the place to be – there’s something for everyone here and mos’ def something interesting to see. The Boardwalk, aka Oceanfront Walk, has fun shops (touristy but fun); there are skateboard and surfboard rentals at Jay’s, plus eclectic stands with clothes, jewelry, etc. Walk north from Windward Ave and you’ll hit up more shops, cafes, and restaurants! Zelda’s Corner Cafe is a great spot to grab a ginormous, tasty sandwich (vegan and gluten-free options) on Westminster Ave (2 blocks north of Windward) and take it to the beach. Groundwork Coffee is there too for those needing caffeine with some great brew. Live up your spring break at the Santa Monica Pier! Are roller coasters and arcade games not your thing? No problem! Just walk a few blocks up and hit up the Third Street Promenade where you’ll find stores like Urban Outfitters, Brandy Melville, PacSun, Forever 21, and so many more! This hidden gem of tranquility and beauty is located near UCLA. The garden is peaceful and quiet. 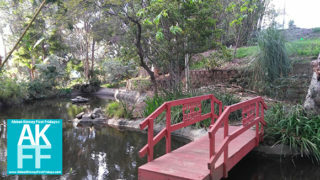 It features a small waterfall, several footbridges over the fish pond plus bamboo trees and flowers. Drive on Wilshire and turn at Bonsall Av and park past the baseball field parking (while you see signs for a Vet’s garden at the lot, this is NOT the Japanese garden.) Walk back on the road you drove on to get to the parking lot and turn right on Bonsall, walking alongside the edge of the baseball field where you see multiple staircases and walk up the hill. There are signs for the garden and a 9 hole golf course. 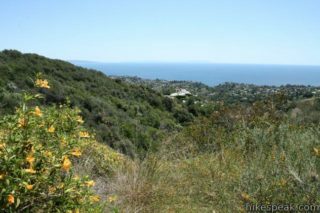 Just a short distance away from Pacific Palisades on Sunset at Temescal Canyon Dr, you can explore the multiple hiking paths Temescal Canyon has to offer! Is sweating not your thing? We hear you! Pack up your picnic basket and enjoy the green scenery! Park for free on Sunset or park in a paid lot. While Malibu isn’t technically the Westside it’s close enough for us! If you want a beautiful drive on PCH with the top down, Malibu is the place to do it! Explore The Malibu Lagoon, a bird sanctuary, with a path leading to the beach, where it’s a short walk to the Malibu Fishing Pier. After that catch a few waves, whether it’s surfing, boarding or swimming! Parking is available at a pay lot by the lagoon or free spaces on PCH. Need a Space to Work? Try this for FREE! Yup, some of us are working during Spring Break, so it might as well be in a spot that’s nice and affordable with good coffee and company! AKFF has found the place to be is CulverWorks – that’s where our office is located. The community here is supportive and fun! Tuesdays are FREE days between 9am – 5pm. You must RSVP on the Culver Works Meetup page. Say that AKFF sent you! PS- Our AKFF VIP Club Members get a Sweet Deal on CulverWorks! Check it out!